A nostalgic VR experience for retro gaming fans, Facebook Messenger Kids, Instagram Direct, dolphin therapy and virtual reality space walks. Welcome back to the Weekly Wins! 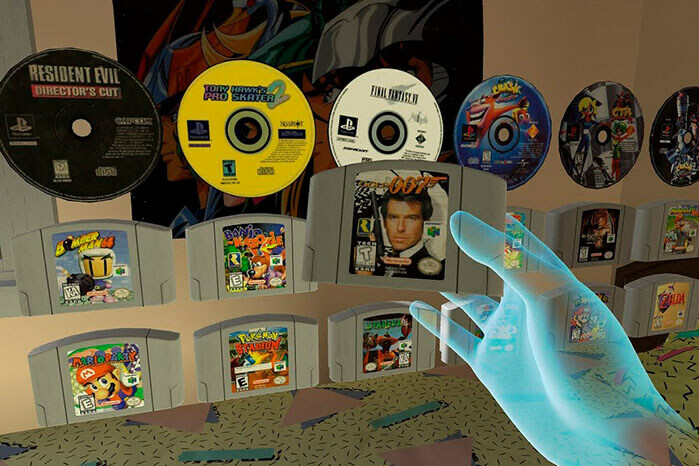 This week, we’re taking a walk down memory lane with a VR experience that’s all about retro gaming. We also look at Facebook Messenger for children, Instagram’s decision to move direct messaging to a separate app, and VR experiences that allow you to swim with dolphins and explore space. Let’s go! 1. Did Someone Say Déjà Vu? Nostalgia is in, and retro gaming will never go out of style. EmuVR is a virtual reality experience that brings old video games, and our childhoods, back to life. Everything from the retro bedroom environment, to the actual game selection process, to the cartridges themselves that are a part of this experience is going to give you déjà vu. You begin the game by reaching under your bed for a box of disks and cartridges for you to choose from, then play a game of your choice. Although EmuVR doesn’t include actual game data (for legal reasons), the program searches your computer for existing ROM files. Games are played through the RetroArch emulator which runs classic games for systems including Nintendo 64, Sega Genesis, Game Boy Advance, Atari, and more. The entire experience is full of 80’s and 90’s throwbacks, and will be free at launch, thanks to the support of retro gaming fans on Patreon. Earlier this year, Facebook hit 2 billion monthly active users. They’re a social network giant, focused on bringing the world together, and now that reach includes children. Facebook has announced a new version of Messenger called Messenger Kids. Since users under the age of 13 cannot legally sign up for Facebook, this new app is designed to be a space for children to safely connect and engage with friends and family, all the while under their parent’s supervision, of course. 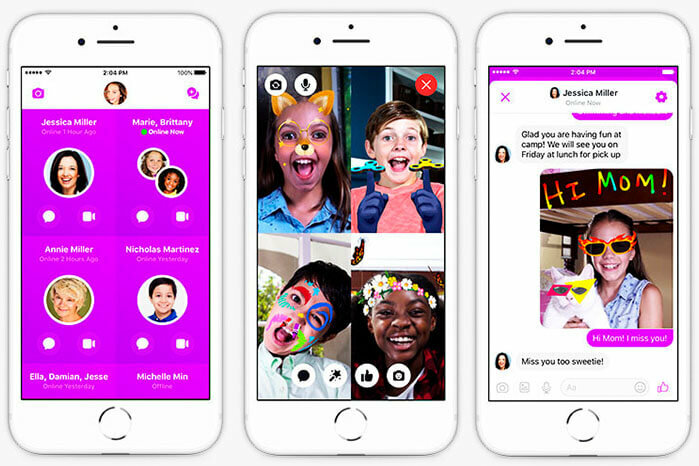 Messenger Kids is primarily designed for video and text chat and is full of fun (and kid-friendly) masks, filters, GIFs, frames, stickers, and more. To keep things safe, the app must be downloaded and authenticated by a parent before an account can be created for a child. Facebook has said Messenger Kids is intended to provide a safe and controlled space for today’s children and families to connect. That being said, it’s clear that Facebook is also looking to capture the next generation of users, and this is a smart (but controversial) way to do so. Speaking of messaging apps, Instagram is following in Facebook Messenger’s footsteps and plans to offer a standalone app for private messages. The app will be called Direct, and is Instagram’s way of acknowledging that excellent private messaging can’t occur within an app that’s all about sharing publicly. Instagram Direct will exist as the current direct-messaging part of Instagram, just in a separate app. It will let you send photos, videos, and text messages to your Instagram contacts, and Instagram promises to keep it simple. The app is in testing right now, and will be launching globally next year. If you’ve ever wanted to swim with dolphins, you now can in virtual reality. A non-profit organization called The Dolphin Swim Club offers “dolphin-assisted therapy” in a virtual reality experience named Dolphin VR. Users wear waterproof VR headsets and swim in pools with snorkeling gear to get a taste of what it’s like to swim with dolphins. If underwater VR isn’t enough to excite you, perhaps an outer space experience will. Inspired by NASA and ESA training programs, and the experiences of seasoned astronauts, BBC has created a VR experience that launches you into space. 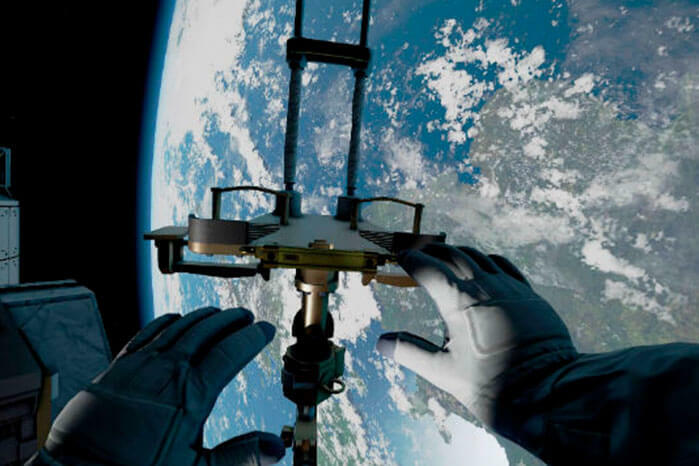 Called “Home – A VR Spacewalk,” this VR experience enables you to embark on a spacewalk over 200 miles above Earth’s surface. Players are instructed to make a repair outside the International Space Station, right before having to deal with a scary emergency. If you have an HTC Vive or Oculus Rift, you can experience it for yourself for free.